Last Sunday, we went to the Melkite Liturgy on campus. 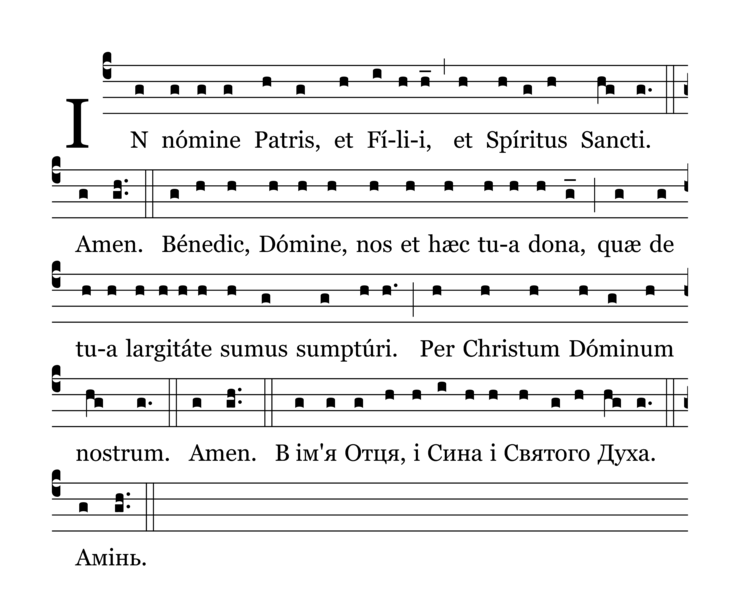 […] Despite our son’s lack of familiarity with the words on the page, he hummed along the entire time (sometimes even during the Eucharistic Prayer). With his slight speech delay, with his limited grasp of understanding of English, the chant allowed him to participate in the Eucharistic sacrifice in a way that he rarely experiences. I have seen the same behavior out of my children in similar contexts. My mom regularly attends Divine Liturgy at a Ukrainian Greek Catholic parish, despite my family belonging to the Latin Rite, and my children find the chant and ceremony of the Byzantine liturgy as enthralling as Mr. O’Malley’s son did. Likewise, my kids have a great deal of trouble staying focused in the midst of the wordiness of the modern Roman rite. They have certainly improved as they have gotten older and gained greater skill with language, but proper liturgical music still involves them more deeply than any amount of speaking can. The kids’ behavior when they were younger prompted my wife to postulate the Toddler Test for Good Liturgy: if the liturgy bores the toddlers, you’re doing it wrong. A PDF is also available for making printed copies, should you want to try it with your family.